In my last post I talked about getting to a place in the middle of nowhere called Chillagoe. On our way there from the coffee plantation we went further and further into the outback. Soon we were driving through free range cattle ranch type things with these silly, droopy looking cattle all on the road and beside it. 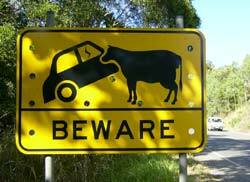 There were signs everywhere warning drivers that the cows could and would tip your car if you weren’t careful. Which I thought was absolutely hilarious. 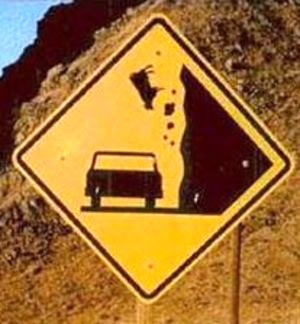 Needless to say, I did not go turning over rocks. We did go explore a few caves, though. To get to the caves we had to walk up a pretty steep, rocky hill. On the way we saw several locked up caves that required a guide to enter, but we came across one you could explore on your own named, “Pompeii.” The name didn’t sound too promising, but we went anyway. It didn’t have walkways or anything, it was just a bunch of downward sloping rocks that you could climb down to the actual cave. We scared up a few bats and could hear them squeaking in places we couldn’t get to. 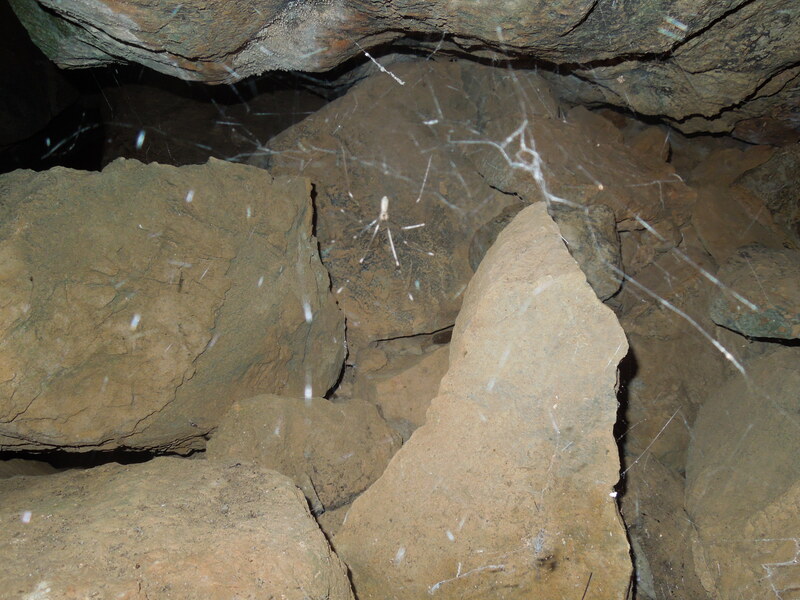 I found the spiders in the crevices of the jagged rocks on the way down. I don’t think I could say that they are special cave spiders because they were near the mouth of the cave and there was a small opening in the ceiling that let in light, but the second one is still really cool looking. I believe that the second one’s scientific name is Argiope ocyaloides. I didn’t get close enough or a good enough picture of the first one to try to identify it. 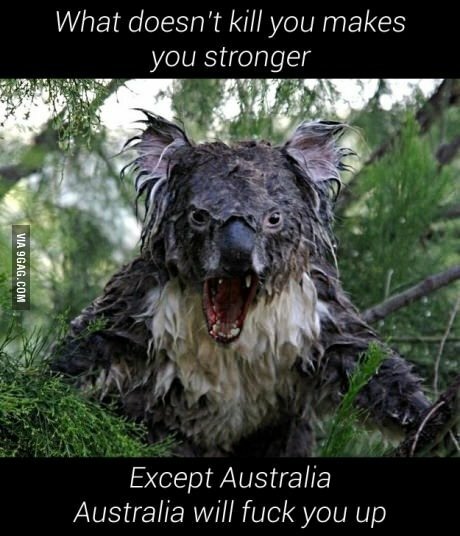 It’s creepy as hell to me, though. If you keep up this obsession, you’re going to be an arachnologist. It’s already started. I am filling out the paperwork to change my major to organismal biology. I can specialize in anything I want. 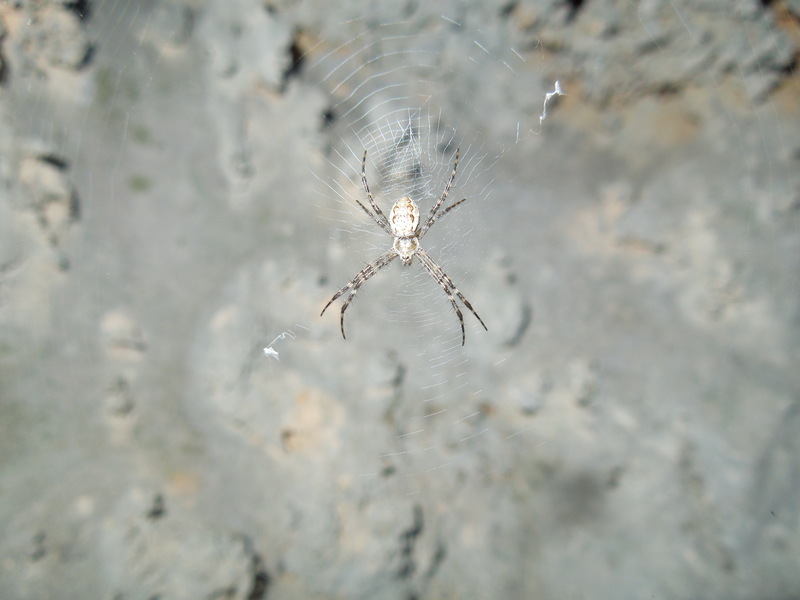 Now, I doubt that I’ll go for spiders, but it might be a hobby I continue.